18C Inlet Point Dr. 18C, Pawleys Island, SC 29585 (MLS #1718934) :: James W. Smith Real Estate Co. 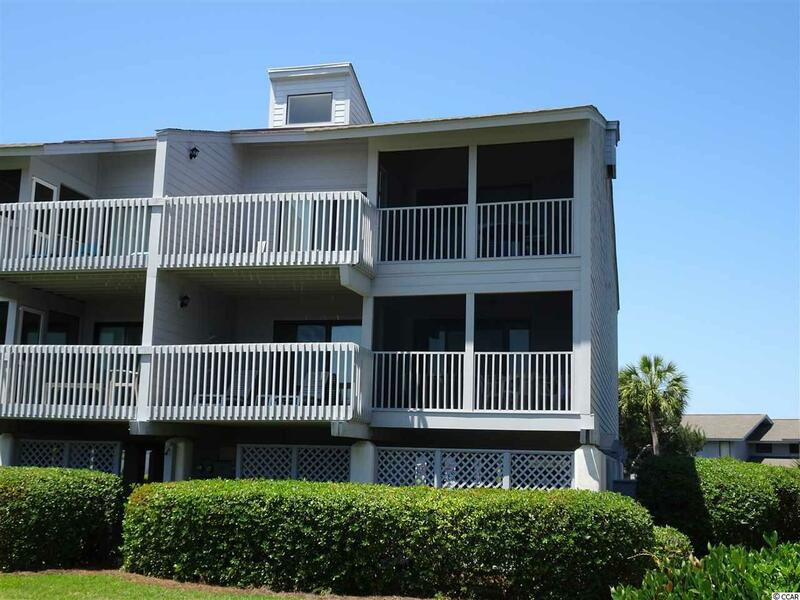 This beautifully decorated 2 bedroom, 2 bath villa is located in the gated community of Inlet Point at South Litchfield Beach. The condo sits on the top floor of the 18 Building over looking the pool with views of the ocean. The living area features an open floor plan with living area expanding on to ocean side screened porch and sun deck. A large master bedroom suite and guest bedroom with private bath are located at the rear of the unit with views of the marsh. Further the villa features remodeled kitchen with granite counter tops plus a beautifully updated master bath. Enjoy the amenities of Inlet Point including 2 pools, dock on the creek and one of the prettiest beaches in SC.